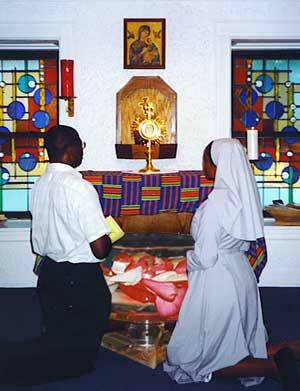 Shrine of St. Josephine Bakhita. healing of HIV and AIDS. to pray for the Healing of HIV/AIDS. during the season of Lent 2005. EDUCATE, MOTIVATE, AND MOBILIZE AGAINST HIV/AIDS!"